When the US Congress designated the Appalachian Trail in 1968, it paved the way for a nationwide network of long-distance scenic, historic and recreation trails. Today the National Trails System encompasses 11 national scenic trails, 19 national historic trails, and 1200 recreation trails, totaling over 54,000 miles, longer than the nation’s interstate highway system. The system was created as a tool to “provide for the ever-increasing outdoor recreation needs of an expanding population and in order to promote the preservation of, public access to, travel within, and enjoyment and appreciation of the open-air, outdoor areas and historic resources of the Nation…” 45 years later, national trails continue to provide a means for the public to recreate and reflect. Long-distance trails easily align with recent initiatives in the health, education, and stewardship fields to connect more people, and especially youth, with trails as outdoor classrooms and places for exploration. The Star-Spangled Banner National Historic Trail is one of the newer trails in the System, designated in 2008 to commemorate the events and outcomes of the War of 1812, and in particular those that led to and followed Francis Scott Key’s writing of the National Anthem. National historic trails commemorate significant long-distance routes along original trails or routes of travel. They foster protection of trail resources and landscapes evocative of the time period, and offer learning and recreation opportunities for the public. The Star-Spangled Banner Trail traverses over 550 miles of historic land and water routes in Maryland, Virginia and the District of Columbia, connecting dozens of national and state parks, historic sites and districts, museums, and parks. 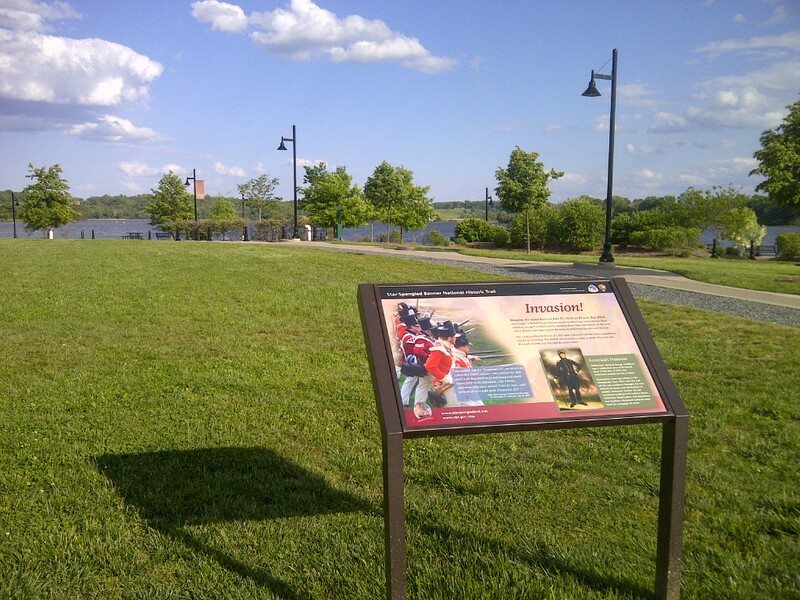 Interpretive signage for the Star-Spangled Banner National Historic Trail in Leonardtown, MD. and recreation. Leading up to and through the 2012-2015 bicentennial period, state and federal funding, including $1.8 million in Scenic Byways funding awarded to Maryland in 2009, has helped to make the trail, which follows almost 400 miles of waterways and 200 miles of public roads, visible and visitor-ready in record time. Trail development projects include route marking signage, orientation and interpretive signage, a website, a mobile app, a map guide, and a travel guide. Teacher training, online resources for students, and exhibits have expanded educational opportunities. A 20-year management plan completed in 2012 identifies additional interpretation, infrastructure, resource protection, and management actions to sustain investments beyond 2015. In Baltimore City, Baltimore National Heritage Area, Johns Hopkins University and three community development corporations along Eastern Avenue in Baltimore City are funding streetscape improvements along the trail route including flags and banners, educational materials for residents and visitors, and community festivals, such as the lighting of 15,000 candles on the 199th anniversary of the Battle of Baltimore. Outside the city, NPS, Maryland, and Baltimore County have aligned over $1 million for streetscaping and infrastructure improvements to ten acres of battlefield to provide outdoor recreation opportunities and inspire local awareness and stewardship of community assets. 40 miles north, the City of Havre de Grace, Maryland has conducted extensive community outreach to create a new visitor center exhibit, travelling exhibits, a walking tour, signage, an online resource library, and teacher training. 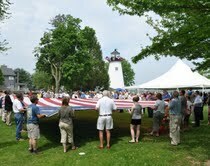 Community events showcase the city’s 1812 history with a lifespan beyond the bicentennial period. 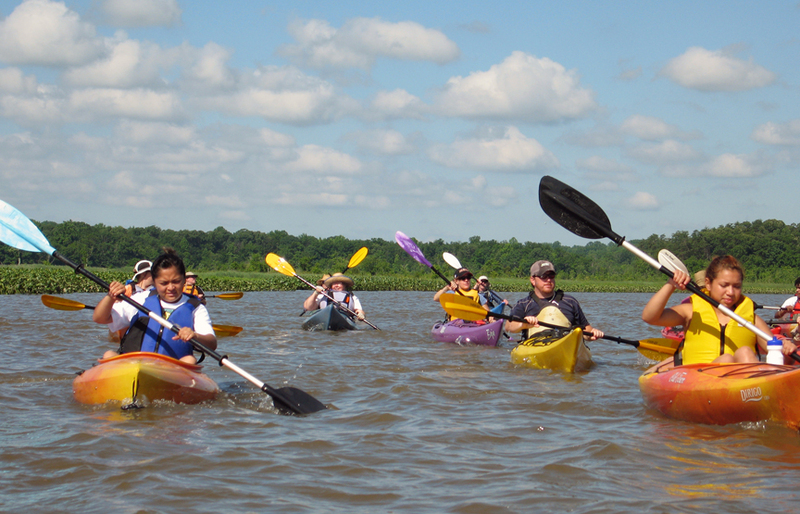 70 miles south, NPS and Charles County and residents and businesses in tiny Benedict, Maryland have tapped into bicentennial funding to revitalize the waterfront in time for fall 2014 festivities. New public access, recreation amenities, and outdoor public spaces will also educate visitors about the town’s 1812 history. British landing site on the Patuxent River. After 2015, trail efforts will shift toward increasing programming and building the capacity of trail partners. Actions identified in the trail’s management plan include training for outfitters, tour guides, and front-line staff; teacher workshops and adult learning; building a volunteer network; improving access to and marking of water routes; and increased efforts relative to research and resource protection. In addition to educating the public about the War of 1812 in the Chesapeake, these actions tap into the health, education, and stewardship interests of the National Park Service, regional partner networks and communities through which the trail travels.